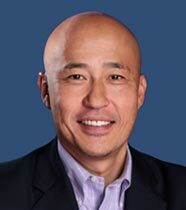 Mr. Iwamoto is responsible for business development, marketing and client relations at DFG. Prior to co-founding DFG, Mr. Iwamoto spent nine years at Moody’s KMV in San Francisco, where he worked on starting and growing its business in Asia. Prior to joining Moody’s KMV in 1998, Mr. Iwamoto worked at international trading companies both in Tokyo from 1991 to 1994 and in Los Angeles from 1996 to 1998. Mr. Iwamoto received a B.A. in Economics from Aoyamagakuin University in Tokyo in 1991 and an M.B.A. from Pepperdine University in Malibu, California in 1996. Mr. Iwamoto holds the Chartered Financial Analyst designation, is a Certified Financial Risk Manager and a member of the Global Association of Risk Professionals (GARP).